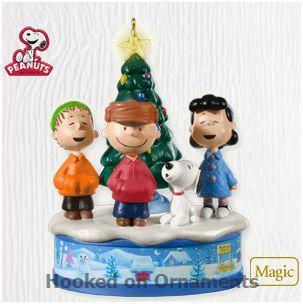 Home > Hallmark Ornaments By Year > 2010 Hallmark Ornaments > View All 2010 Hallmark Ornaments > 2010 Merry Christmas, Charlie Brown! See the tree light up and hear memorable moments from this beloved Christmas classic. Power Source: requires 3 AAA batteries, not included.